Declining to attend a farewell party hosted by the Bihar State Bar Council for Chief Justice L. Narasimha Reddy, who retired last week, Justice Dharnidhar Jha, saying that Justice Reddy acted as a “Moghal Baadshah” and “smashed the whole administration not only of the High Court but of the sub-ordinate judiciary also”. “In my opinion, Shri Reddy did not deserve my participation in the farewell-party which has been organized by you and the State Bar Council,” Justice Jha wrote. With Justice Reddy as the Chief Justice, the Court administration suffered with “steep escalation in corruption all around”, he added. The letter says that Justice Reddy was acting “under some caste considerations”, when he removed the painted photographs of Late Justice Laxmi Kant Jha and other Judges which were hung in the Chief Justice’s Court room. Justice Jha alleged that Justice Reddy acted against the written rules formulated by the Full Court of the Patna High Court, by “arbitrarily and in an authoritarian manner” by abolishing the post of the Judge In-charge from all Judgeships and appointing a Clerk in the Civil Courts as the Drawing and Distributing Officer. He further says that Justice Reddy created Sub-Divisional Courts without there being any infrastructure set up for the same. According to the letter, Primary Health Centres, Kisan Bhawans and godowns had been used as chambers for presiding officers of the Court. The letter questions his intentions to create Family Courts in the Sub-divisional Headquarters by vesting powers of the Family Court into a Magistrate or a Munsif. It says that Justice Reddy’s motto was not to provide justice to the needy people, “he was more interested in seeing his name written on a plaque to be put up as the mark of inauguration of a particular Sub-divisional Court.” He behaved like a politician, was “sweet tongued because he was unfair and not honest”, it adds. The letter notes another instance wherein Justice Reddy behaved in a non-transparent manner during the Centenary Celebrations of the Patna High Court. Details regarding the rate of payment for various arrangements are not known till date. Expressing dissatisfaction with the Chief Justice respective High Courts is not unheard of. Earlier in May, Justice Karnan of the Madras High Court had urged Chief Justice of Madras High Court to avoid ego and stop acting in autocratic manner to protect democracy. He had urged the Chief Justice to not “interfere” in the instant case, “failing which, this Court will initiate contempt of Court Proceedings” against the Chief Justice of the High Court. The case related to the Tamil Nadu Public Service Commission interviews for selection of Civil Judge (Junior Division). Read the LiveLaw story here. 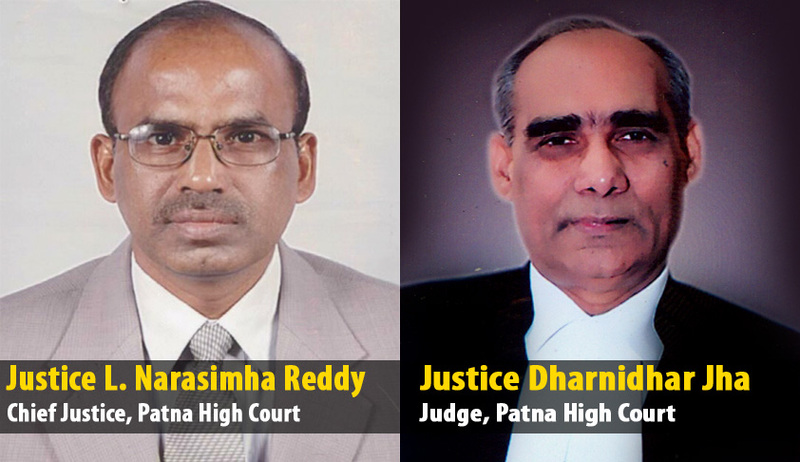 Read the full text of Justice Dharnidhar Jha's letter here.